On Saturday February 4th, Cutter was thrilled to support the F.A.C.E.S. Institute by co-hosting the ACE Entertainment Summit. 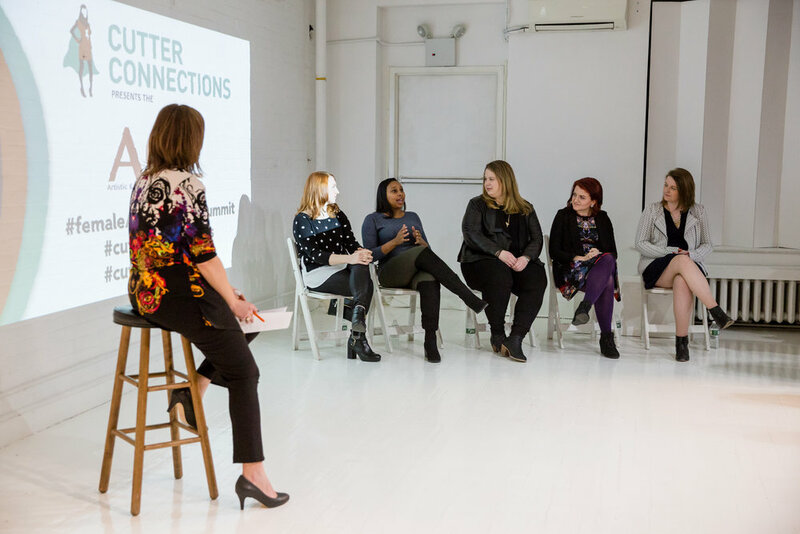 The event focused on “Getting Your Foot in the Door” and brought together over 45 women to discuss best practices when developing an entertainment career. Keynote speaker Brittany Rostron, kicked off the event by discussing how to approach an artistic career like an entrepreneur. After that, career coach Kathleen Castro provided tips on how to create the most effective resume and cover letter for the entertainment industry. At the end of the day, participants engaged in a Q&A session led by Hillary Cutter of Cutter Productions with experienced women in the industry such as Aubrey Smyth, Ashley Van Buren, Tiffani Gray, Meghan Dineen and Tara McHugh. Can’t wait for the next summit!